Our good friends over at Vintage Electric Bikes took on a special project at the end of 2014. 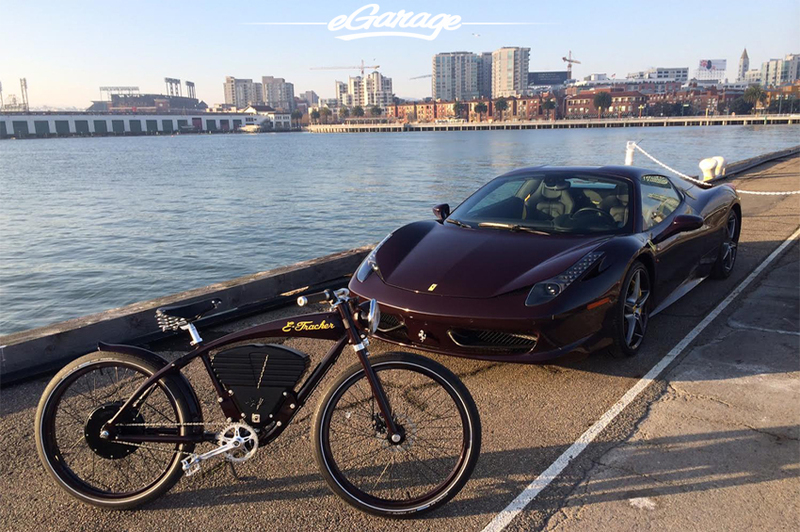 This project was commissioned by a car collector in which he wanted his E-Tracker (eBike) to match the color of his 2014 Ferrari 458 Italia Spider. The paint from Maranello is a special 1950’s/1960’s deep plum known as Vinaccia.